In the first main card fight last night (Sat., Nov. 12, 2016) at UFC 205 live on pay-per-view (PPV) from Madison Square Garden in New York City, N.Y., former women’s bantamweight champion Miesha Tate welcomed former Ultimate Fighter standout Raquel Pennington to the divisional elite. 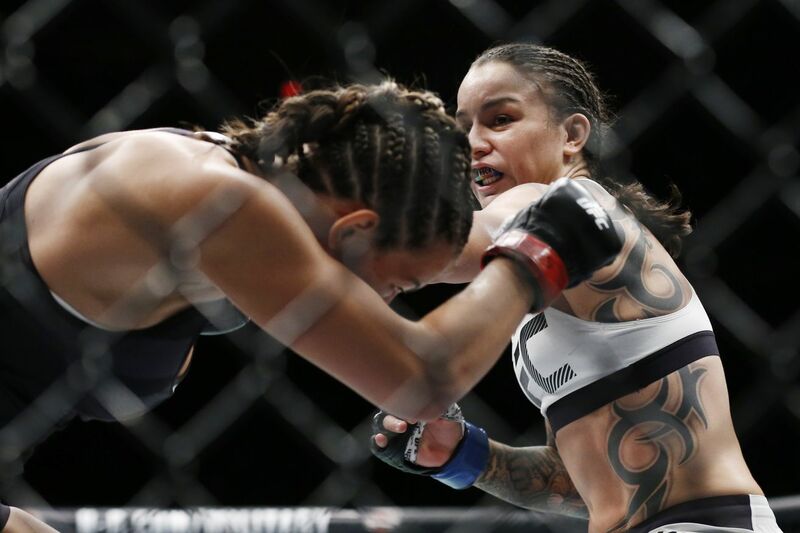 Tate was aiming to get back into the win column after losing to Amanda Nunes at UFC 200 in devastating fashion, while “Rocky” was looking to win her fourth-straight Octagon appearance. After a brief feeling out period on the feet, Pennington locked in a deep standing guillotine choke that forced Tate to climb the cage on more than one occasion. Tate escaped and secured a late first-round takedown to score some points. The two girls battled throughout the second round, offering knees in the clinch and powerful shots from distance. But after landing hard ground-and-pound in Round 3, Pennington took control on the judges’ scorecards. She wins via unanimous decision. The full video highlights can be seen above courtesy of UFC. With this win, “Rocky” moves higher up the 135-pound ladder. The return of Ronda Rousey will certainly slow her ability to lock down a title fight, but she’s right in the mix entering 2017. As for Tate, she decided to retire from MMA after dropping her second-straight bout. For complete UFC 205 results and coverage click here.